After working as a lawyer for four years, in 2004, Jennifer decided that practicing law was an honorable job, but wasn’t fulfilling her professionally. She made a career move and began consulting with lawyers on how to use technology to run their firms more efficiently. Today, Jennifer specializes in consulting and training legal professionals on practice management software. Her expertise has evolved over the years to include technology that addresses document assembly and document management needs. But Jennifer doesn’t just understand what a program can do and recommend a program to her clients and move on. 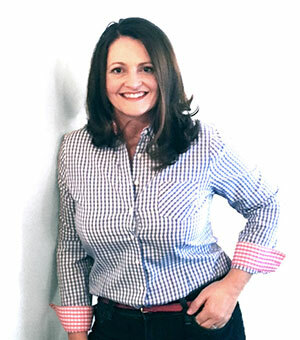 Jennifer meshes her knowledge of different technologies with her own experience practicing as a lawyer, and her unique ability to analyze law office workflow to help firms develop policies and procedures that maximize both productivity and profitability. As an industry thought leader, Jennifer has conducted several CLE approved legal technology courses for state and local bar associations. She has also built an online training resource, Affinity University, which is utilized by hundreds of law firms across the country. Jennifer and her amazing husband, Tom, are both alumni of The Ohio State University. Their family includes daughter, Mary Anastasia (10) and twin boys Thomas and Daniel (9). It’s safe to say that when Jenn is not advising the legal industry she is “advising” her children. Originally from northeastern Ohio, Jennifer currently resides in Chicago, IL. Her family’s weekends are spent at any number of sporting events cheering on their kiddos. Jenn and Tom also enjoy traveling, even if it is just around their beautiful windy city for the day! After years of saying they would never ever own a dog, they have welcomed Silky into their home. And Silky is forever thankful! As more of a condo in West Palm Beach kind of dog, the family pet will not step foot outside if it is lower than 60 degrees. Negotiating Chicago winters with her pup may be the next call upon Jennifer’s negotiating skills!